Solahart Del Caribe is currently one of the leading commercial providers of solar, wind and hot water systems in Puerto Rico. 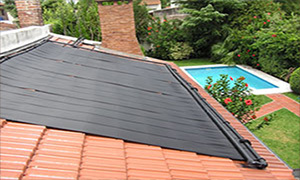 Services include consultation, design, configuration, integration, maintenance, repair, and installation of solar, wind and solar hot water systems. Most cost effective way to reduce energy consumption. Saves on your energy bill and the environment! Can save the city hundreds of thousands of dollars to millions of dollars every year by a simple switch to Solar Lamps. Natural energy source available 24hours a day. You can heat your pool 100% Free, with no loss to time or efficiency!